These sample Sales Trainee interview questions will help you evaluate candidates’ sales and customer service skills before you make a hiring decision. This is an entry-level role, so most applicants are usually recent graduates and/or lack work experience. Look for candidates who are interested in the customer service field and know a few things about your industry. If they have experience in a different sector, ask what prompted them to turn to sales and what their goals are. Include questions that require knowledge of sales tactics to test if candidates think creatively and have the right mindset for the role. This position may require communicating with clients (in-person, via phone or email), performing administrative tasks or both. 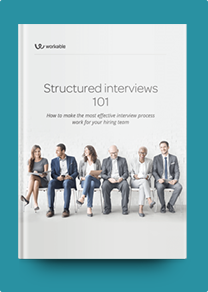 Tailor your interview questions to meet your specific job requirements. For example, if Sales Trainees at your company interact with clients, test candidates’ presentation skills and whether they’re comfortable interacting with others. If the role is more administrative, focus on organizational and time management abilities. What would you do if you didn’t know how to answer a client’s question? What would and what wouldn’t you include in a sales pitch email? How would you react if your manager assigned you with tasks you didn’t know how to approach? How would you deal with an angry customer who wanted to speak with your manager? What do you know about our products/services? Who do you think our clients are? What tools do you use to organize your work? Are you familiar with CRM software? How do you identify a client’s needs? How do you get customer feedback? Why is it important? What metrics do you think are important to track on a regular basis? (e.g. number of new customers, number of lost customers and revenues) Why? What do you hope to learn from this position and what are your future career goals? Have you ever had a negative experience with a salesperson, e.g. in a store? How did that situation influence your purchasing decisions? How do you deal with targets and deadlines? Describe a time you worked on a team project. What was your role and what did you achieve?